I wish I could tell you what is behind that response. The truth is, my dog is relatively mildly reactive to some other dogs, and occasionally, when he feels threatened, some people. On the reactivity scale, he is not bad; he will bark and that is it. He did once flip and pin another dog who would not leave him alone. The barking is simply a method of putting space between him and the thing that he finds scary. He has has never bitten. He has chronic pain and is a nervous dog who does not enjoy the company of strangers. My dog will send signals through his body language that he wants to be left alone, but to humans, unless you know what you are looking for, these signals will be subtle and most probably missed. Today’s dog park culture means that a lot of owners believe that their dog must play with as many other dogs as possible to have a fulfilling life, so many dogs are often not taught to take notice of body language either and see every other dog as a potential playmate. My dog is not a potential playmate! So I have to react every time we see anther dog coming, usually by turning 180 degrees and walking the other way, simply because I do not know if the incoming dog is likely to bounce on my dog or just walk past. I have been told that he needs training, that I must cause his reactivity or that I should give him a kick if he barks. Many other dog owners often do not quite understand. I did not either until I got my dog – I did not realise how isolating or frustrating having a reactive dog could be. I thought all dogs could be fixed by basic training, structure and good walks. This is simply not the case. Just like humans, some dog have issues that can’t be cured – they can be improved and managed, but not totally fixed. I have been told that he needs training, that I must cause his reactivity or that I should give him a kick if he barks. People love to make assumptions and judge but the truth is, you can not tell if a dog will be reactive just by its breed or background. Some are rescues, while some have been in the same home all their lives. Any breed can be affected, some may be genetically predisposed, sometimes the dog has suffered a traumatic incident or abuse. But having a bad experience will not necessarily cause any issues either. Some dogs, like mine, may be in pain; it is impossible to generalise. I occasionally get comments that I should “just train him”. We work with a veterinary behaviourist, a dog trainer, have attended specialist classes, and a huge amount of my time is spent researching and implementing training methods. I spend far more time, money and resources on training than the average dog owner. The behaviour modification methods I am using are modern and positive (punishing a terrified dog or one in pain will be counterproductive). It requires working with him while he is under his threshold – that is, at a safe enough distance from other dogs to not get a reaction. When we started, this was around 20 metres. He can now do a pass with an on lead, calm dog at around two metres. Occasionally he will now do a normal, friendly greeting with non-threatening dogs and he has a growing number of trusted canine “friends” who he is happy and relaxed around.. However, he will still react to unknown dogs, especially if they are bouncy, as the bouncy ones hurt the most! The experts tell us that every time a dog has a reaction, his cortisol (stress hormone) level builds, meaning that he is more likely to have another larger reaction, then another, then another…. Cortisol will take a few days to reduce again which means that the reaction caused by a playful ambush from another dog that causes a surge of pain in my dog is not over when the barking stops, it still affects him and holds back his training for days. This is why I turn and go the other way when your dog approaches. Sometimes I will ask you to call him. If your dog is approaching at speed, I will stand in front of mine and shout “NO”. Please do not take offence. I have been chased down the road by indignant owners telling me that their dog is friendly – I get that there is prejudice against some breeds but my reaction is the same whatever size or breed your dog is. There is usually not enough time to explain all this while I am trying to persuade you that however wonderful your dog is, mine does not need or want to meet him – so I have to be abrupt. It is painful for me to have to portray my dog as some kind of devil dog to you to get my point across. He really is not; he is funny, intelligent, and the most loving dog I know. I do not think any less of him for his reactivity; in fact it has made our relationship even stronger than if he had been ‘normal’. I have had to shift my expectations. I can’t just take him to to park and unclip his lead, our walks involve lots of training to keep them interesting and to teach him to be more engaged with me. Sometimes we have a day off walks altogether to allow his cortisol levels to go down, and during this time we play games do scent-work, trick training and general obedience. He is certainly much more trained than my previous ‘normal’ dog, who was naturally happy and sociable. We have to plan with military precision, to avoid certain times when we know particular dogs will be out. When the extent of his reactivity first became apparent, I had an awful period, almost like mourning the dog I had hoped I would get. We would not get to go to the fun dog shows, go to the popular dog walking areas or pop into a dog-friendly cafe. But I now know what he can and can’t do and have adapted his activities accordingly. He is making progress but will never be a social butterfly and I am okay with that. It would be great if you could help us and our reactive dogs by doing just one simple thing – stop your dog running up to mine (we are usually the ones with an on-lead dog trying to make it clear by our body language that we do not want to meet!). If that means calling yours to heel or putting him on a lead for 30 seconds while we get out of the way, that would be great. I will not walk mine into an area with a lot of dogs, we keep away from parks with off lead dogs playing and we keep to areas with good visibility. I do my best to not impact on your walk, but it is increasingly difficult to find quiet areas, especially as the weather improves. So the chances are, we will meet at some point. My dog has to be on lead if there is a chance that other dogs in the area and whilst it is annoying for you to have to put yours on lead for a minute or two, try to imagine what our walks are like – we have to plan with military precision, to avoid certain times when we know particular dogs will be out, many places are total no go areas, we frequently have to give up and go home as there are loose dogs in all of our quiet places, our walks are certainly not relaxing. I understand that dogs do blow their recall – that is okay, we do not expect perfection and the odd slip up is expected, but if you know that your dog constantly runs up to others, consider using a long line and work on their recall. Twice recently we have had dogs run through hedges to say hello to mine. If my dog reacts, yours may be scared into the road, I am concerned for their safety too. I try to walk my dog in on lead only areas, like cemeteries and nature reserves, however, there always seems to be someone with their dog off-lead. Please, give us these few places by keeping yours on lead too – you have your pick of off-lead parks, fields and footpaths for your dogs to have a run, our dogs only have these few areas where we can truly relax and enjoy our walks. Having a reactive dog can be isolating and overwhelming. We would like nothing more than to chat with the other owners while our dogs join in with the fun, but for most of us, that is a rare occurrence, for some it may never happen. I often feel like other owners are judging me and my dog and have overheard the occasional hurtful comment. If you see us out and about, a friendly smile to let us know that you acknowledge the work we are putting in to our dogs would make a huge difference too. Previous articleThe four doggy dangers of Easter! Yep, sure sounds like my Zoo the boxer. In early days I thought about calming drugs, but soon came to my senses. We both know our limitations and live accordingly. He has 2 very good dog friends, that’s enough for him. We exercise in the bush with no people, dogs or cars. Fantastic article. Out have managed to sum up everything that I feel and have experienced. I have reactive dog. Often feel like every other dog is perfect, Isa joy with all other dogs etc. Talking to other owners often helps as they do explain that their dogs are not the angels they seem. I do end up getting angry at people with dogs off leads in areas that specify that leads must be used. Thanku for the insight. I have a new puppy and it has made me more aware for when she is older. Good luck. Thank you! I too have a reactive dog and have to find times and areas to walk where we are unlikely to meet other dogs. His is not through pain – he is just like that. I found your article so helpful and supportive. I too wanted a dog that I could do all the fun things with – now I have settled for mainly solitary walks! We too have tried everything. Some days he is fine, but I can’t predict when those days will be and which dogs he will ignore. Sometimes he will play with another dog and that is fantastic to see, but it’s usually only a few dogs that he likes and is comfortable with. At least we live in a forest and he is quite happy chasing squirrels, deer and boar!. Hi I,ve only just found this article which I read with great interest. Like you it sounded like they were talking about me and my border terrier Toby. I got a dog to hopefully enable me to walk with and meet other people. Alas not to be as I need to have eyes in the back of my head and walk the other way if someone is approaching us with their dog off lead. I would love to see Toby running around with another dog as I love him to bits and want him to be happy. I have 2 small dogs who are both mildly reactive to other dogs. They have both been jumped on and rolled and occasionally injured by other people’s “friendly” dogs. I tell people to please call your dog. They say, “It’s ok, he’s friendly”. I say “Mine’s not”, but because they are small and harmless looking, the other dog runs up and is snapped at. And then the fuss begins. We were walking in a National Park, and met some people with their dog off leash. I get it, we were in the middle of nowhere, and my dogs had been loose, too, but the second we heard people coming, they were back on the leash. I called out and asked them to call their dog. Of course, he was friendly. The owner called and called, but the dog just kept coming. Finally, as he was right up to us, my husband stamped his foot and yelled, “Get!” And the dog ran back. As he passed us the owner giggled and said, ” He isn’t very good at coming back”, to which I snapped, ” Then maybe you should keep him on his leash”. I’m sorry, I get tires of my little, basically, well trained little dogs being vilified, because your dog is an untrained bully. Thanks for a well written & insightful article. I hope those without reactive dogs will take the time to read it. I live with this myself and walk in isolated places. I have been lucky though as others with off leash dogs have tended to put theirs straight on the leash when they see us coming with leashes on. I’m always very grateful for it. Here Here. None of my 5 dogs are “reactive”, however, one of them is a fairly extreme Resource Guarder. The irony is that he would play and communicate well with incoming dogs…… provided they meet and greet away from me (possibly his most valued resource of all) and their owner could recall them away at the end…. however what generally happens is that when he chooses to check back in with me, or I recall him… the other dog follows him back because their owner has no recall OR the dog has no interest in their owner (my treats are far more interesting) and that’s when trouble occurs. As such I have decided that my dogs are not going to mix with strange dogs and strange people at all, under any circumstances and we avoid others at all costs. sigh. Thank you, thank you so much for expressing what I experience everyday. I have had my dog for 3 years now and have come to accept that although we can finally walk calmly past another on-lead dog, actual meetings with strange dogs will always be an issue for him. It is indeed isolating and sometimes stressful to have a dog like this so thank you for reminding me I’m not alone. I hope some owners take your requests on board. That article was bang on. I also owned a very reactive dog and no training or behavior modification worked with him, he did have a very rough start in life. When you tell someone no you cannot pat my dog and they insist they do not understand we know our dogs and do not want you or them hurt. I planned my walks around how many people are out and avoid times when everyone is walking their dogs. I had to limit the amount of people that could come over if he sensed you were afraid of him that made him more aggressive. But surprisingly every once in awhile he would find a human other than me that he would really like and he could be a real love bug. Thank you for writing this article. It has opened my eyes to what reactive dogs and their owners go through during an ‘everyday’ walk. As an owner of an excitable, friendly dog – the type that runs up to greet other dogs, is selective about his recall and who, at times, seems oblivious to the social cues and body language of other dogs, it has made me so much more aware of my own dog’s behaviour and the huge impact it can have on another dog. In saying that, I am relieved to note that whenever we see another dog on a lead, we always put a lead on ours until we are well past. I wish your beautiful dog well, I hope he experiences as much joy as he can on his outings and he is lucky to have such loving, patient, understanding owners. Totally and utterly understand and sympathise with you. Mine too is reactive, not as bad as yours but certainly to the extent I need to be on high alert whenever I go out. On the improve he twice got attacked on the lead by the same two dogs – now he is back to square one. One of my ‘hates’ is people who want to pat him and even when I say please just leave him alone they keep approaching saying ‘oh it’s ok I’m a dog person’ Well clearly they aren’t if they have to be told twice! I welcome this post. It opens a window into the difficult aspects of owning a dog. There are a lots of stories, articles and photos about how wonderful our dogs are and how wonderful our relationships are. It’s very refreshing to hear an owner’s honesty about the difficulties we also encounter and how those difficulties make us feel. Thank you very much for your openness and honesty. This is an awesome article. It explains what I also go through to with my four too. Wow, this is so close to my experience, I could have written it. Sadly, my dog has occasionally nipped other dogs though, so we’re working on muzzle training (along with all the other training). It’s all incredibly stressful and isolating. Some owners are really understanding and I now make sure to give other reactive dog owners a smile (or an encouraging comment if I don’t have my dog with me). If there’s one thing that drives me absolutely insane, it’s the endless ‘advice’ from people who have never owned a reactive dog. Anything you think of suggesting off the top of your head, I guarantee you has occurred to us too in the endless hours of research, training and sessions with professionals. i cannot tell you how familiar this is! Our dog has the same issues, and in many ways is probably worse. He is likely to react to other dogs, people and cyclists (in no particular order). His condition has been described as “confidence aggression”. Yet he lives with another dog and is always relaxed with her and, like yours, is probably the most loving dog we have ever had. He has also had more training than any other dog. We share your frustration with some other dog owners. Most are understanding, but some are not. We are fortunate to have some walks where there are few other dogs but we would much prefer to go on some of the more popular walks. However, we have accepted for some time that this is not to be. Our dog is 10 now so is unlikely to change. We are unlikely to meet as we would both turn in the opposite direction! However, it is good to know that we are not alone. Good luck with yours for a happy and healthy life. I had exactly the same issues with my border collie. He was deaf and had chronic polyarthritis from about age 5. He lived to 15. He had a 3 dog friends that he had grown up with, but any other dog he would do his best to avoid. He would give all the warning signs, but I grew to hate that phrase “don’t worry, mine’s friendly/ only wants to play”. In the end I stopped trying to politely explain his issues and would just say “well mine isn’t “, and try to ignore the verbal abuse when they still allowed their dog to bound up to him and he would growl and snap back. My current companion is a daft golden retriever and, typically of the breed, a complete clown. I make sure that if I see any dog on a lead, I call him to me. He has actually now worked with a number of nervous, reactive dogs, helping to give them a little more confidence and learning to be more calm himself. Your dog is very lucky to have you, many people would have dumped him. Wonderful article, I can relate totally and wouldn’t this be a wonderful world if all dogs could be trusted 100% and run free ? Of course this is not that perfect world and we who have and love reactive dogs have to be diligent and dedicated, and claim our rights as well. To try to work on these behaviors and give them a quality life while others are saying things like “you shouldn’t have that dog out in public spaces” . . . Hey, I have control over my dog(s), I expect the same from YOU ! Their dog may be “fine” but often their attitudes are LESS than fine. We just have to try even harder to keep our angst in check and get along the best we can. If you have a “reactive” dog as you describe, the leash isn’t really controlling it – it is just restraining it. The other dog off-leash might not be restrained, but it could well be controlled. The fact that it is off-leash does not automatically mean it is not controlled. I had a friend in your situation with a 40kg malamute that wanted to rip my setter’s head off every time she walked past my gate. It was clearly pulling her arm off her shoulder and she was stressed, even though my dog was behaving quietly inside the fence. I told her “we need to let them run together down the park, I’ll follow in a minute”. My friend thought I was insane when I called out to her to let the 40kg “reactive” off the lead. I knew my setter could run, and that he had good submissive signalling that he would call upon. Starting 30m away, the setter approached in an arc, not a direct line. He stopped half way and gave a tentative wag. The 40kg “reactive” moved away from his alpha, and gave a tentative wag in response. The gap closed and they both had a good sniff. Then it was on. They ran and gambolled for the next half hour till they were too tired to go on. My friend’s life changed profoundly that day. And my setter had a new friend. Losing the leash, and establishing distance from the alpha was the key. This did two important things – the engagement took place at a distance from the alpha (where the drive to protect her was not so high, as the “threat” was not so close), and the flight response was accessible if needed. I too have a reactive dog. I understand the loneliness this causes. I have been yelled at for having her on leash at an off leash park. I have had people totally ignore my pleadings when I ask them not to approach. I wish more people got it. I love my girl and in so many other ways she is awesome. A not that uncommon issue, but there’s also the other side of this. If she were walking down my street and my 3 dogs were walking off leash, none of them would approach her dog if he showed discomfort. 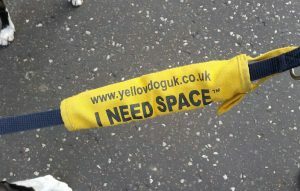 And this is also true of some of the dog park regulars, simply because they have well developed social skills. But, that is a people issue. In the article, her allusion to the dog’s “pain” is unclear. She doesn’t mention any physiological issue, so I don’t know if she means physical pain, anxiety, phobic reactivity, or what. Spot on, Gerry. The dogs in your scenario are settled because they know they can access their flight response if necessary. Use of the leash would deny them this, and add tension to the mix (where the writer’s dog is in close proximity to its alpha, and has a drive to protect alpha from the threat). Lose the leash and it all settles down. Well said. You have explained the situation beautifully. Thanks. I identify with this so much. Our rescue dog (Missy- a staffy x) is reactive to other dogs, but is fearful rather than aggressive. She’s come so far in the past 1.5yrs but she still panics if we’re within 20-30m of another dog when on leash. We also have a rescue Japanese Spitz who was aggressive reactive but luckily we have worked out of it (which took a year in itself). It’s sad that I can’t take Missy out with fear that another dog may show up, and she’s so attached to our jap spitz we can’t separate them. I walk them at 5.30am just so we avoid other dogs in our estate. I wish people could see the sweet, cuddly, loveable Missy, but they see the scary, howling, tough-looking bully breed who looks pretty scary (if you don’t know her) when she’s freaking out. I have a reactive dog also but a little different situation. He was labeled an “aggressive greeter.” On lead he goes crazy, nuts and deaf when he sees another dog until he can sniff and say hello, then ignores them. I initially would pick him up (17lbs) turn my back and walk off the trail while he barks – sounding very mean and trying to get down. Very frustrating and embarrassing. Now if I see another dog coming I will yell out “can they meet?” If they say yes everything is fine. If they say no, it’s back to plan A -avoidance. Professional training (treat motivated ) helped a little but not much. Only problem is with dogs – loves adults, kids. Doesn’t mind bikes or even horses and gets along very well with our other two dogs. He was a rescue. Any comments or suggestions would be welcomed. Loved this article! Spot on! It is isolating and so true the military precision. I’ve tried to explain to my family that walking the dogs is not pleasurable but a production and stressful event. I consider one a success if we make it out and back without incident. The feeling of relief when we reach our yard again in one piece is so welcomed. I miss the days I could just grab the leash and go at any time, anywhere. Thank you for writing this! you kniw what bravo to you. I resoect any owner who is truthful about their dog and dogs like people are individuals who have different personalities. my dog gets super excited cause he loves dogs but I never let him of lead till im sure otger dogs are going to be okay with a fountain od energy. what I really hate is owners who say “my dogs friendly” lwt it run free and next thing you know your digs at the vwt still in shock from a vicious attack from behind. Tjat happened to me when I was walking my dog on a lead to the car. Then instead of a owner apology an attack “well he’s nevet done it before” Bull. So kudos to you for being an honest owner a responsible owner and for doing the best you can. I agree with most parts of this except for the behavior modification methods. If the pure positive approach worked, this issue would have showed improvement. This person is not a qualified behavior modification trainer and I hope they reach out to a trusted professional with proven track record. Did you read the article at all? There has been plenty of improvement! No, the issue isn’t “fixed”, but it may never be. It took me 4.5 years of consistent training for my dog to completely get over her reactivity. Great article. I remember being chastised while on a hiking trail with my dog on lead. A lady’s dog came running at us, off lead, and my dog began to growl. He either felt vulnerable or felt like he had to protect me. Either way, to this woman I was a terrible dog owner and he was a devil dog. Geeez Susan, I feel sorry for you – completely misunderstanding such a well written article about reactive dogs. One day you may get a reactive dog. Most dogs are not reactive due to the owners anxiety, though an anxious owner can amplify an existing problem. The facts are if she is walking in an on leash area then it is RUDE to have your dog off leash and not under verbal control and you are endangering your dogs safety if you let your dog greet all other dogs without checking if its ok with the owner first. Agree with you Susan – see my comment below. Something does not ring true about this story. I had a highly dog-aggressive dog. Apparently it is now a thing with “rescues” to hide a dog’s issues and not tell you about them. What I didn’t do was wallow in that fact and chose a training/rehabilitation method that was likely to fail, or take forever. Mine wasn’t afraid, he seemed to enjoy a good dog fight and approached these situations with enthusiasm. You can’t fix that sort of prey-focus with cookies. Once we got through a several months period of intense rehabilitation, I took him everywhere, even when his behavior was not perfect. Before the year was out he had off-leash dog friends. Eventually he could be trusted at the leash-optional dog beach, even with snarky dogs. This was also not accomplished with cookies. By 18 months, this multiple-return-to-rescue behaved like a normal dog, because he now was one. For those who thought I should be doing something different – I could care less. I had a plan, it was working, I don’t put any stock in the advice of random strangers. To those who didn’t heed the warning to keep their off-leash dogs away while we were training, I had absolutely no problem deploying citronella spray in their direction. My dog’s safety was and is my top priority. Sure we had setbacks, but we always moved forward with a positive attitude. I never felt the need to portray my dog as anything other than what he was, a good dog in training. I never felt the need to “mourn” him being less than perfect, he was a dog not a robot. We were never isolated or overwhelmed. There is a real world out there and if you can’t deal with it, perhaps you and your dog are best staying home. I am the author of this essay. I am glad your methods worked for your dog, my methods are also working and yes, I do use “cookies”, if my dog was too stimulated to take the cookies, he was too close to the situation that he was fixated on and we simply moved away to the distance where he was relaxed enough to take them, I understand some dogs will be more challenging and for them, the distance may be massive. You may well be an experienced, confident owner who does not feel overwhelmed by your dog’s behaviour, but after my new dog scattered a whole bus shelter of kids with a reaction, I definitely did feel overwhelmed (amongst many other emotions)! I think a large proportion of people would. I know that many other owners of reactive dogs who I have spoken to feel the same way. As for the mourning part? That was a phase, I no longer mourn the dog I thought I wanted, I much prefer the one I got! I have adapted and learned so much from him, he is growing in confidence and we enjoy every day and have no intention of staying at home. You know what we did this weekend? We attended a workshop with 13 other dogs, the owners all respected each dog’s space and he had one minor reaction, We also went to a beach, we avoided other dogs by simply changing direction slightly,. He is currently lying at my feet on a busy train with a stranger sitting less than a foot away from him – this was a dog who would randomly react to people on the street every day – barking and lunging and putting on an excellent show! In fact, the only reactions he really have now are the fast approaching, “just want to play” dogs, which is what this essay is really about and I believe you said you took steps to keep them away from your dog too. The essay was written when things were more difficult for him and me, and I did not submit it for quite a while after writing., since then we have made further progress, but, as I said, he will never be a social butterfly, and he will never be totally fixed – I manage the situations that I put him in and have a happy, mostly relaxed dog. The intention was simply to make people think about the impact of their dog on mine and explain why I try to avoid them – it did not cover everything we do together and I used emotive language to help the readers realise that he is a dog that I love just as much as they love their dogs, as when people see a dog reacting, they immediately make a lot of assumptions about dog and owner. I did not want to write about specific methods as I am just am owner, I am sorry that I seem to have offended several people by mentioning positive methods. I hope that anyone reading this and struggling with a reactive dog will employ a qualified dog trainer or behaviourist who uses techniques that they feel comfortable with and that suit their dog. You did not offend anyone! Those that do not use positive methods are working in the stone age! There is so much scientific data out there now on this subject! Nobody believes in putting their child on a choke chain or spraying them with citronella…why would you do it to another living creature. Hate to tell everyone, but they are finding out that the emotion and learning centers of all living creatures act very similar to humans! I absolutely agree with everything you do to support your dog! I am in a similar situation, however, I believe that my dog I rescued was not properly socialized or was tethered and teased. However, when he crawls under the covers to be closer to me at night……I know I am doing better for him! I am his only advocate and will continue to do so! Go “cookies!” I use very finely chopped hot dogs, cheese and some fruitsveggies. My Sam loves his fruits and veggies! Love how you say “behaved like a normal dog, because he was one”. We have to let our dogs be dogs, and this means letting them run freely. Locking them up on-leash whenever in public is causing a spate of ignorant owners with confused and “reactive” dogs. “Reactive” is the new ADHD we tag “problem” dogs with so we “know” we are dealing with a “condition”. Hard U turn , food dump , plenty of treats AT THE READY , military stile collar and lead , observation of NO GO areas such as bottle necks at traffic lights , observation of local dog trafic patterns , search out wide open spaces to have 360 degree escape space , always be prepared for surprises such as bike riders approaching silently from behind , patience , praise , patience , praise , patience . Excellent article. Can totally relate. Thank you for this article! Very well put. Are you in my head?! Never has someone put it in words better. I remember my dog Dixie started showing anxiety related aggression at 5 months old. I cried, debated returning her to the breeder, giving up altogether with her, but i am sooo glad i didnt! We have come so far together. Going from her trying to attack (with biting) every person wh0 passed us. To her now allowing random strangers in my work car (after an introduction). The biggest step is accepting you arent going to have this “perfect” dog who will walk next to you off the lead and run around playing with other dogs. Once you get over that, you learn to read their body language and learn when theyre getting stressed and removing them from those situations! fantastic, i understand completely, I have a reactive dog too, thank you so much.Dogs are like people, we are all different, we should learn to respect those differences and just love our dogs, God bless. I can completely endorse this article. Until I had my wonderful Badger I did not understand the issue of a reactive dog and went through a range of measures trying to “cure” the problem. 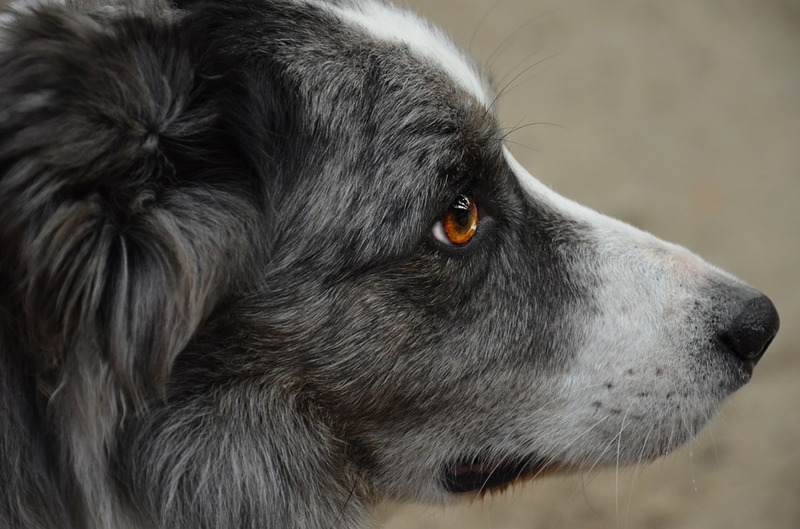 In desperation I turned to an incredible dog behaviourist who helped me to understand the problem and, while making it clear that there would never be a cure, it was possible to help to manage Badger using positive methods. Thanks to Rosie he had a managed but fulfilling and happy life until he went down with cancer aged only 7. I still miss him. The most interesting element to this story is that the writer did not speak of any off-leash walking, at all. Further, he/she said “we are usually the ones with an on-lead dog trying to make it clear by our body language that we do not want to meet!”. This quote is telling. The dog could well be picking up on the alpha’s stress and is charged by it. The dog of course, has no ability to regulate his fight/flight response, because he knows he has no flight response available to him. It does not sound to me like this owner is working with a behaviourist at all. He/she should be walking this dog off-leash as much as possible, ideally with “test dogs” in the equation, who are also able to access the flight response as necessary. If he/she is so attentive to the dog’s training as described here, the dog should be sufficiently well trained to walk at heel off-leash. The leash might be at the heart of all these problems. Why not check? Asking everyone else to deny their dog the flight response only adds tension to a tense situation, and dooms this dog to a life of no improvement. The owner says the dog “has never bitten” – another reason to explore the off-leash work sooner rather than later.